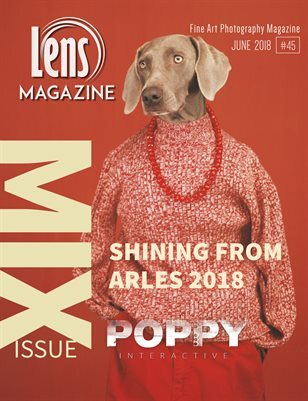 In this fabulous issue we feature special coverage of the shining shots and most impressive exhibitions to be featured at the big event of The Rencontres d’Arles 2018. July 2, 2018. @rencontresarles More you will find in this month's issue, Special, deep and strong project by POPPY Interactive: WAR AND ORGANIZED CRIME GONE GLOBAL. @submarinechannel Articles and interviews with most impressive photographers from around the glob. This is the "Into the Kitchen Sink" Issue. A MIX of wonderful things!